If you have questions or would rather donate by phone, please call Operation Exodus USA at 716-681-6300. If you desire to donate by check, please make it payable to “Operation Exodus USA” and mail it to Operation Exodus USA, P.O. Box 568, Lancaster, N.Y. 14086-0568. Thank you very much for your generous giving. God bless you! 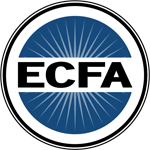 We are accredited by the Evangelical Council for Financial Accountability (ECFA).